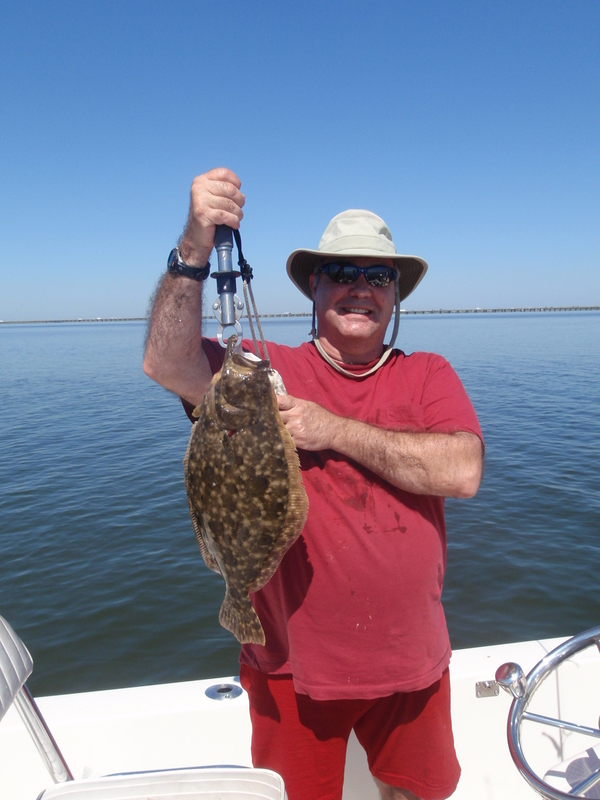 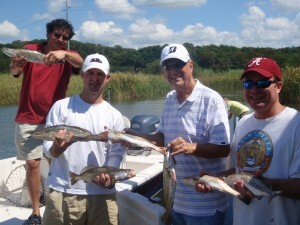 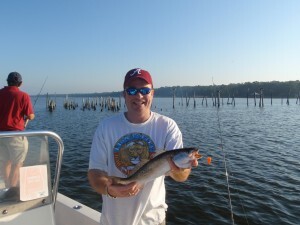 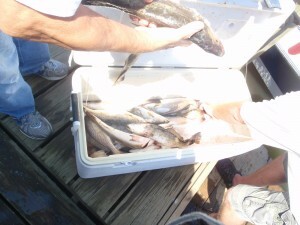 Great Speckled Trout and Flounder Fishing! Here is my good friend Peter Koch and his friend Bob from Nevada on a great fall fishing trip on the Mobile Bay Delta. Peter is a regular customer fishing the inshore waters of Mobile Alabama with me. 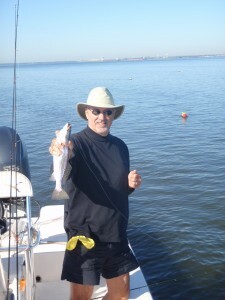 We fished south of the Causeway most of the day and had good luck fishing grubs for Speckled Trout and Flounder. Bob was very good at the “Do Nothing” technique for the nice sized Flounder. Fall fishing is almost in full swing. 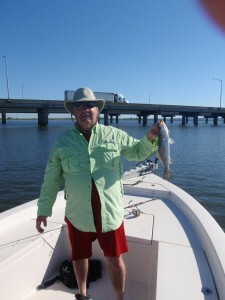 Here is Dr. John Boyer with us at the Daphne Pilings catching some nice trout. We later got under some birds out in Mobile Bay and got our limit.